Join the fascinating sustainable dye workshop! The informative lecture about Bengala will be accompanied by a demonstration. 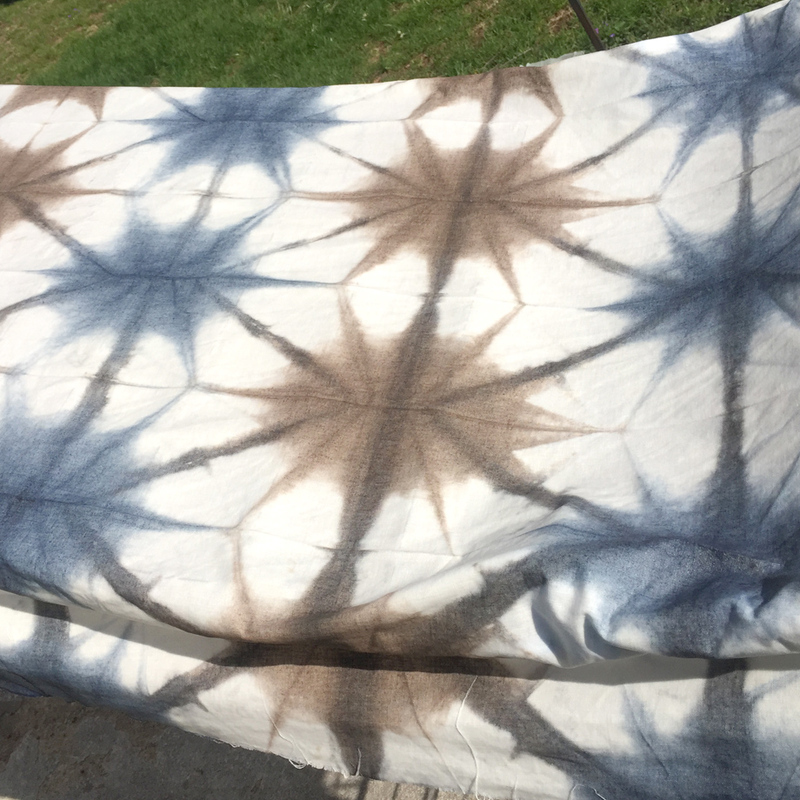 In this workshop, you'll learn how to dye fabric with the natural earthy color of Bengala dye to make a fresh home decor! Choose a pattern from various Japanese traditional shibori design. You can freely arrange the patterns with 12 colors of Bengala and indigo blue. We provide a 36" x 1 yard Linen/Rayon fabric. The finished fabric will be perfect for a table runner, placemats, a pillowcase, etc. Non-toxic dye. No gloves necessary. We supply 12 colors of Bengala plus Aijozome-Indigo color in the workshop. And a 36"x 1 yard fabric (Linen 55% Rayon 45%) can be cut to your own size.